Yes, some folks say they’ve been able to give up fertilizing thanks to excellent grazing management. For those of us who are still working on getting there, here’s what research has shown about the economics of an added boost. 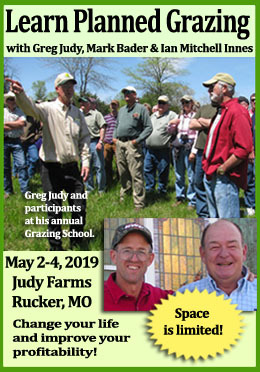 Thanks for this article go to Bruce Anderson and Jerry Volesky of Nebraska Extension, University of Nebraska, Lincoln and to UNL Beef Profit Tips. If you’d like to listen to this as a podcast instead, click here. And let us know if you like listening to podcasts. We can find more for you! Pasture and hayland grass growth is stimulated by fertilizer just as it is with other crops. While nitrogen (N) is the primary nutrient most commonly needed for grasses, others, such as phosphorous (P), potassium (K), or sulfur (S), also may be deficient and needed for increased growth. Soil testing should be done to determine the specific nutrient needs and amounts. 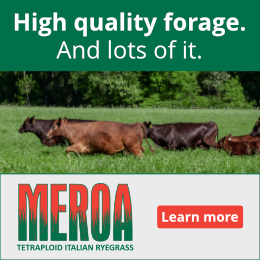 Common reasons for fertilizing pasture or hayland include trying to increase the vigor and density of the grasses or increasing production for hay or to support more grazing livestock. On sub-irrigated meadow that can be grazed or hayed, research has shown that a suggested fertilizer application of 70 lb N, 25 lb P, and 20 lb S per acre results in an average grass increase of about 0.75 tons/acre. If hayed, the economics of this would simply be related to the cost of the fertilizer application and the value of the hay. As one would expect, the greatest returns are when hay values are high and fertilizer costs are low. If $60 per ton is the anticipated hay value, no more than $45 ($60 times the 0.75 ton/acre yield increase) could be spent on the fertilizer application to break even. At $100 per ton hay value, the breakeven for a fertilizer application is $75. Keep in mind that there are risks. The yield response from the fertilizer varies from year to year depending on weather conditions. Additionally, your location and condition and type of grassland will affect yield response. A warm-season mixture, smooth bromegrass, or intermediate wheatgrass may all have somewhat different responses to the fertilizer. Nebraska grazing research has shown that you get one pound of additional calf or yearling gain for every pound of nitrogen fertilizer applied. However, this fertilization rule-of-thumb assumes that the amount applied is within our general recommendations, which are based on the potential amount of extra grass growth expected. This is affected mostly by moisture. It also assumes that your grazing management will efficiently harvest this extra growth. If your pastures aren’t already subdivided into at least four paddocks, your fertilizer dollar might be better spent on developing more cross-fences and watering sites. While haying is relatively efficient in capturing increased yield at harvest, it is important that when grazing, you manage that grazing closely so more of what you grow actually gets eaten. If livestock graze continuously on one pasture throughout the growing season, there will be waste as a result of trampling, manure and fouling, bedding down, and patches or areas where livestock simply refuse to graze some of the grass. With continuous grazing, only 25% to 35% of the grass your pasture produced will end up in the mouth and stomach of your livestock. This will significantly reduce the economic return on any fertilizer applied. • Subdivide pastures with cross-fences to control when and where your animals graze. 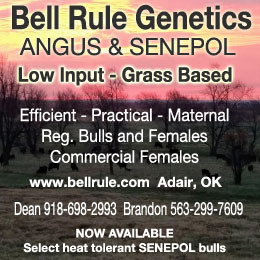 • Give livestock access to no more than one-fourth of your pasture at a time, preferably less. • Graze off about one-half of the growth before moving to another subdivision. Bruce is a professor of agronomy and extension forage specialist at the University of Nebraska-Lincoln. He works with grazing systems and does research on annual forages, utilization of warm-season grasses, forage quality in hay and pasture systems and using legumes to improve pastures. Here, that additional ton would also cost $ 33 in baling. 1200 lb bale at $20, plus whatever it costs to get it to your hay yard. $4 bale for me.